I always revel in tradition. Sometimes going back to a place that is particularly meaningful for some reason or another after not being there for some time can make that place even more meaningful. It's about creating memories and experiences in that place and then revisiting them. 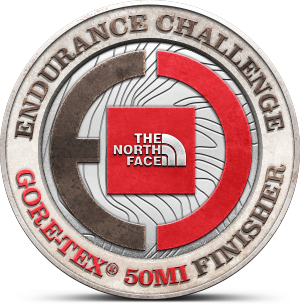 My first ultramarathon was in 2010 at TNF EC 50 Championship in California. The experience of a first ultra alone will always stand out for an ultramarathon runner; in 2010, the field was stacked as always and I was shown the beautiful world of the ultra running community along with an amazingly scenic course. Since then, I'd hoped and wanted to travel back to California for this event. This year I finally had the opportunity to do so. Going into the race I was calm and relaxed and looking forward to being free from school and work and enjoying a beautiful area of the States. I've run three ultras that took place during or close to finals week of school and I've always took that time to relax and reset my mind; spending over 7 hours in nature is a great way to do that, even if it is a competitive atmosphere. Speaking of competition, this years version of TNF50 was possibly the most competitive year yet, maybe even the most competitive 50 mile trail race ever. Check out iRunFar's preview to see the pre-race excitement. I was mentioned as a "top-ten longshot." I will take that honor when stacked up against all the names above me! All photo's by Bobbi or Becca Owen. I'm always fast to arise the morning of a race and eager to begin the adventure. I was late getting into the starting corral and settled in a position about 10 people deep. All the who's who of the ultra running world were standing in the chaos in front of me, including all the elite women. After the 10 to 1 countdown, we set off to a pace that seemed quick, probably because I was trying to inch my way through the crowd - soon though I settled into a place that I felt comfortable with beside the "older" guys like Karl Meltzer, Dave Mackey, and Mike Wardian. These guys were sure to set an even, controlled pace even if there were 25-30 people in front of us. We made our way up the Bobcat Trail and around to Alta and back down the Rodeo Valley Trail where everyone bypassed the first water stop. I didn't have a good idea of our pace but I wasn't surprised to look ahead and see a few outlying headlamps bobbing in front of the main large group; I joked with someone that it was sure to be Cameron Clayton, and it was. The pace was somewhat relaxed though as we made our way up another stinger and down into the Tennessee Valley aid station at 8.7 miles. The section after Tennessee Valley is one of my favorites - once we crest the ridge, not only are runners able to look behind and see a beautiful string of headlamps gritting their way up the Coastal Fire Road, but its the first time we get a good glimpse of the Pacific Ocean. Overlooking Pirates Cove, as in 2010, I was greeted by a dimly lit horizon with a foggy ocean speckled with little lights of boats on the water. This is all right before bombing down a semi-technical singletrack section before going up and down into Muir Beach. A nice elevation profile from the runners packet - the big uphill stands out in the middle but it was the downhill at mile 26 and the cumulative short downs that really did it in for my quads. From here and onward for the next 7 miles or so, I was running next to Alex Nichols. I had just read a RunTramp article on Alex and knew of his recent success in the Skyrunning Series - in my mind Alex was a contender and I was more than pleased to be able to lead him up the largest single uphill of the day going into Cardiac at mile 17.9. I felt confident with my uphill running all day and Cardiac gave me some added spark going past Pantoll and onto a fairly flat portion of smooth trail. Shortly after leaving Cardiac I saw Miguel Heras, two time winner of TNF50, walking back toward the aid station - he was the first known drop of the day. I was thinking maybe there would be some carnage from that huge front pack. After getting onto the Matt Davis Trail I got ahead of Alex and didn't see him the rest of the day - I later learned he dropped. I caught and passed a struggling Matt Flaherty - told him congratulations on his JFK50 win a couple weeks ago and got onto the only out and back section of the course, the Coastal Trail. After passing a couple people and feeling confident from the long climb up Cardiac, I came down to earth a little, the spark of nailing Cardiac had died. Mike Wardian and someone else came blazing by me and I was hardly able to respond, I just didn't have the legs on this semi-flat section of the course. Shortly after this Peter Hogg caught up to me again - we met up earlier in the dark and exchanged pleasantries. Peter ran an incredible Burning River 100 in July beating me by a staggering 1hr20min - and since I finished 2nd, his time was that much more impressive! I was stronger on the early hills but now he had re-caught me - we ran and chatted for the rest of the Coastal Trail until the turn around at McKinnons Gulch at 22.7 miles. While running with Peter we got a brief glimpse of the leaders when they came back through on the out and back - we noted that we were probably in about 25th place and 12-15 minutes back. Peter got out of the aid station about 10 seconds quicker than me and unfortunately I was never able to catch back up to him. He ended up running a great second half, finishing 14th place and 20 minutes ahead of me. Definitely not rushing through Stinson Beach aid station - trying to find salt. After the out and back was the longest downhill of the day on the Matt Davis Trail leading into Stinson Beach - I wanted to take it easier on this section in attempts to save my quads. I took it easy but it was still a struggle. My downhill training is just not adequate and I didn't feel confident with my quads going into Stinson Beach at mile 27.7. I lost a place or two on the downhill and could tell I was losing more time. But, I did what most ultra runners do best, put my head down and move relentlessly toward the finish line. The next section is the section that I faltered most in 2010, and the same was true for this year. The Dipsea Trail leading to Cardiac for the second time is probably the most steep section of trail - it is relentless. Unfittingly for me, this is the most beautiful forested section of the course and I wish I could say the reason I was so slow through here was because I was stopping to admire the lush ravines. But, my head was focused on the ground "above" as I attempted to power-hike as fast as I could up the many stair steps on Dipsea. I passed a Geoff Roes who was a spectator this year and he assured me a lot of other people were struggling on this section as well, but I doubted they were as slow as me. Eventually after a grueling 2.7 miles and probably one hour +, I reached Cardiac aid station for the second time at mile 30.4 and refueled. After the race I broke my day down into three sections: a good first 20 miles, a very slow middle 10 miles, and a regrouped last 20 miles. Shortly after Cardiac is when my race turned around and I can credit a lot of this to women's 50 mile leader and eventual winner, Michele Yates. Michele passed me on the Dipsea Trail no more than 2 minutes after I left the Cardiac aid station and I followed along. I had never met Michele but I definitely recognized her from the success she has had in 2013. I was not surprised to see her passing me at that point - she was running super strong up and down hills and I was just happy to be moving again. From here I ran the majority of the winding 6 miles to the Old Inn aid station at mile 36.3, trying to keep up with Michele. Sometimes I would be in front of her, and sometimes she would be in front of me; we were never more than 10-15 seconds apart. I didn't stop for long at Old Inn and made my way to Muir Beach at mile 39.9. Getting to the 10 miles to go mark is always refreshing in an ultra - I was actually excited to attack the steep hill after Muir Beach. I strongly power hiked the majority of the hill and ran when I could. At this point I got into a nice rhythm of power hiking the steepest hills and running everything else; I was also sort of over the fact that my quads were rocked and decided running faster downhill was less painful. Coming into Tennessee Valley aid station with 6 miles to go. Coming into Tennessee Valley aid station at mile 44, I was shortly ahead of Michele but she got out before I did and it took me half of the next hill to catch her. I remembered this hill from 2010 when I was in a battle with Thomas Lorblanchet of who could hike the fastest to the top - he won. This year I felt good enough to run the entire hill; as I passed Michele I gave her some more words of encouragement. I can't imagine the emotions that must have been going through her head with five miles to go - she was running for the win, a hefty prize, and from the unknown of who might come from behind. I was glad to turn around shortly after finishing and see her come in less than a minute behind me for the victory. She ran an incredibly strong race and rejuvenated mine... the way she ran during the ~18 miles we were together, I just thought she was way up on the ladies field. In reality though there was a good race behind her and she had to work hard to finish it out. That just shows the level of competitiveness that women are seeing in ultra's. The last five miles for me was good - I passed a few guys and was told with a few miles to go that I was in 20th place. I had just passed Scott Breeden at that time and my goal became to finish it out without getting passed to stay in the top 20. It was tough hammering the last two mile downhill after the Alta aid station with Scott right on my heels, and then to summon up one last finish on the pavement, but I was able to and finished barely ahead of him. I ended up finishing 19th so I was going to be in the top 20 regardless, but it felt good to "race" at the end. My official time was 7:21:09. As always iRunFar was on hand to provide comprehensive coverage of the race. They just continue to lead the way in ultramarathon news and race coverage, providing spectators at home "up close and personal" live insight to races. For complete results and references, check out their TNF EC 50 Results Article. Fun Fact: the lady behind me in the above picture was a finisher of the 50k - her last name was also Owen. What are the odds. Race specific training needs to be more specific. I like to run trails. A lot of times I find myself running trails at a casual pace. For races like this, I need to be fast in order to compete. Incorporating some, well probably a lot, of speed work in some fashion is needed. Find downhill's, pound them a lot in training. 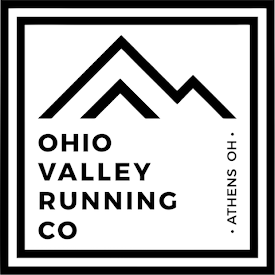 Southeastern Ohio has hills - they are short, steep and rugged. Unfortunately they are not long. I feel like I am adequately prepared for the amount of uphill's in a race like TNF EC 50 since there is no altitude, but the downhill's got me. My quads need to experience that pounding in training. Competition is fun, but be ready for it. This goes hand in hand with the above two points. I don't race often, and enjoy trails on a training basis a lot, but when I do race, I like to find competitive races. TNF EC 50 was super competitive, but I don't think I was ready for it. Maybe I got psyched out. I thought it would be nice to finish in the top 3, and even thought I might have a chance, but I was fooling myself because of the first two points. I didn't train to compete for the top spots, and that is on me. I got to wrapped up in "thinking" I was training good. I can eat and drink less. At Burning River 100 I ate a ton and drank a ton, I stopped an peed I don't know how many times during that race. At TNF EC 50, I ate less and drank less. I didn't have to stop as much, really only twice to pee and that was all. During cooler races, I can alter my nutrition and intake to help my performance and stopping time. I can also pee while moving - who knew!? Being happy with any performance. I had never finished outside the top 10 in an ultra prior to TNF EC 50. This time I finished 19th. Even though it was my lowest finish, I was still stoked to finish and have the experience I did. Ultra running in getting super competitive. I ran only 4 minutes slower at the same race on a similar course in 2010 but finished 9th that year. Never be dissatisfied after finishing an ultramarathon! Women are catching men and I was almost chicked! I had never thought about losing to a female in a race, until Michele Yates passed me at mile 31. I can't lie, the thought of losing to a woman was motivating at the time, but getting beat by someone like Michele Yates, Ellie Greenwood or Emile Forsberg in an ultra is not bad - it just shows that women are bridging the gap to men in endurance performances and the social barriers should be taken down. Later in the race, I looked at Michele as a competitor and that is what fueled me to stay with her. Great RR Michael! Thanks for sharing! I think your point about the uphills and the downhills are very valid. Although we are in two completely different areas of the pack, I find the same think myself. Jeff, no doubt about getting chicked soon, I'm ready for it! Hey Michele, thanks for the comment and pushing me along last month. That was a fun one! I hope you have recovered well and are rested for the 2014 season. Hopefully we'll see each other around at some races this year.